Nicki Minaj ex-boyfriend Safaree Samuels went to Flatbush in Brooklyn to shoot a video and he didn’t get a warm welcome. 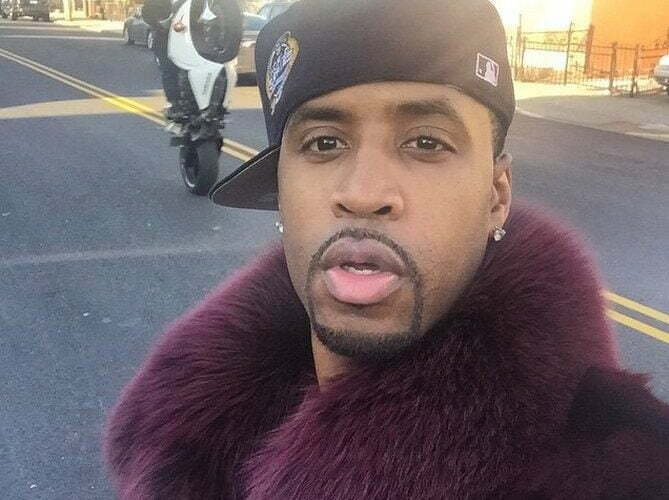 On Wednesday a video surfaced online showing Safaree being confronted by a group of thugs who told him to leave the neighborhood and not in a kind way. “Get the f**k outta here, real talk,” one man said in the video. Safaree Samuels did the right thing and walked away and went to his car, it’s not worth it. The awkward encounter didn’t end their as the Jamaican-born rapper was confronted again inside his car. Nicki Minaj new boyfriend Meek Mill also liked the video when it was posted on Instagram. Seemingly unbothered about the incident, Safaree posted a photo of himself with a group of guys in the same area of Brooklyn. “It is what it is. coming .. Computers link in bio. who God Bless No man curse.. Something real Big must be about to happen becuz the things ive been dealing wit lately…devil cant stop me tho!! it is what it is,” Safaree captioned the photo. He was not chased out, he shot the video there still. Bunch of old broke dudes barking doesnt really mean much,as his reaction showed ??? ?